Filling a swimming pool with fake blood and body parts to promote a video game never seemed to me like a particularly tasteful idea in the first place. It's even less so after a grisly machete killing, described as an act of terrorism, roiled anger throughout London this week. 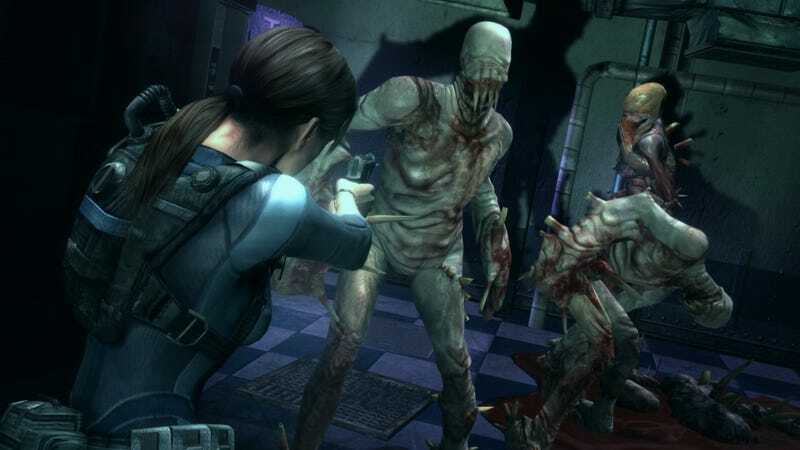 Capcom planned the stunt to promote the May 24 U.K. release of Resident Evil: Revelations on consoles and PC. It filled 55,000 gallon pool with fake blood and dumped in a bunch of fake eyeballs, body parts, intestines and brains, challenging people to dive in and swim to the bottom for free stuff. That was before the murder on Wednesday of Lee Rigby, in the London neighborhood of Woolwich, an attack described in news reports as a beheading. Rigby's killers are said to have made jihadist statements on a video taken at the scene of the murder, which has incited anger against Muslims in that country. Right-wing groups have gone on the march in London and elsewhere since the slaying. Capcom announced shortly thereafter that the Resident Evil promotion, which was to have been held Saturday and Sunday, was off. Probably a good idea. Last year Capcom ran a "human meat market" in East London to promote Resident Evil 6. To contact the author of this post, write to owen@kotaku.com or find him on Twitter @owengood.